Day 5 and we have a pair of fraternal twins that you’ve already seen once this week when Dear Leader Androoo posted them. But I’m trying to solidify my position within the 996 Appreciation Society so here they go again. 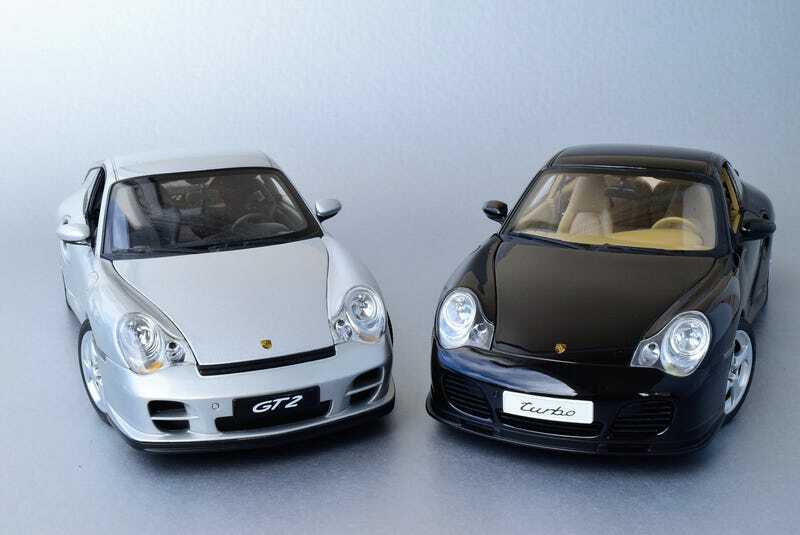 As the post title indicates, these are the turbocharged cars; the aptly named Turbo and the GT2, which you can either think of as a turboed GT3 or track[ready RWD Turbo. They are also known as the widebody cars, and are about 2.5in more bootylicious than the standard car.